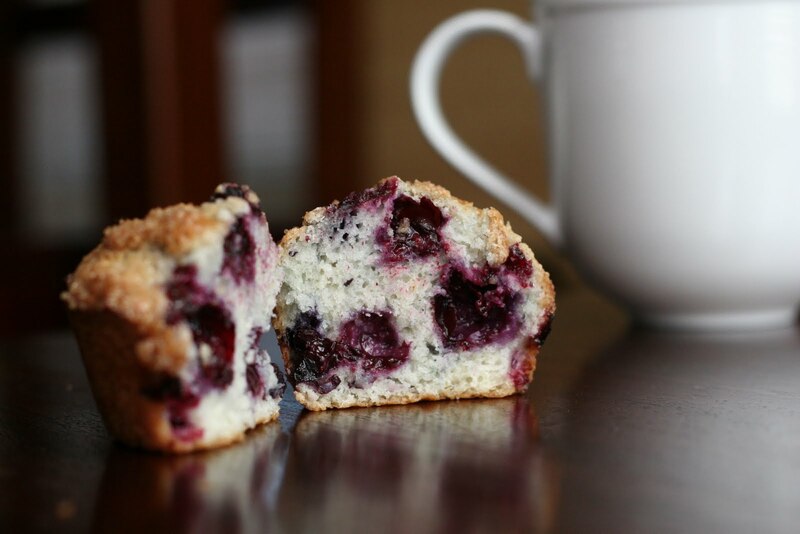 Oh blueberry muffin, how do I love thee? Let me count the ways... Homemade muffins are comforting. 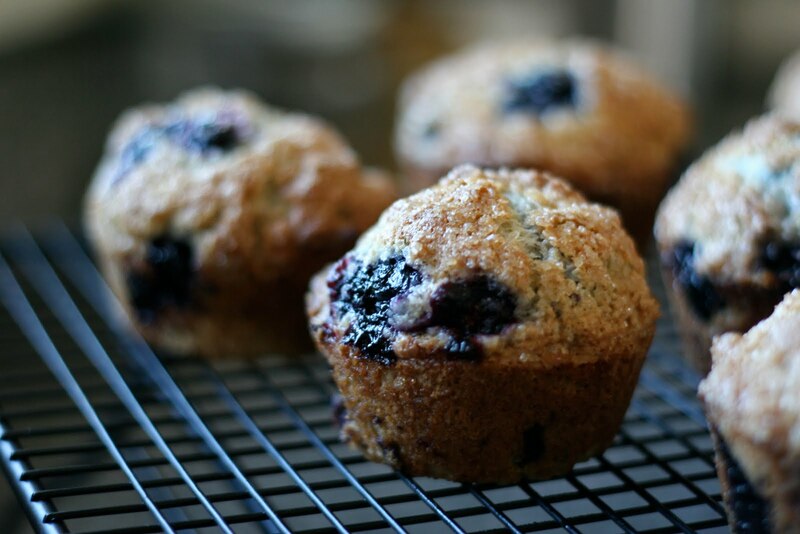 Homemade muffins with hand picked Maine blueberries are divine. 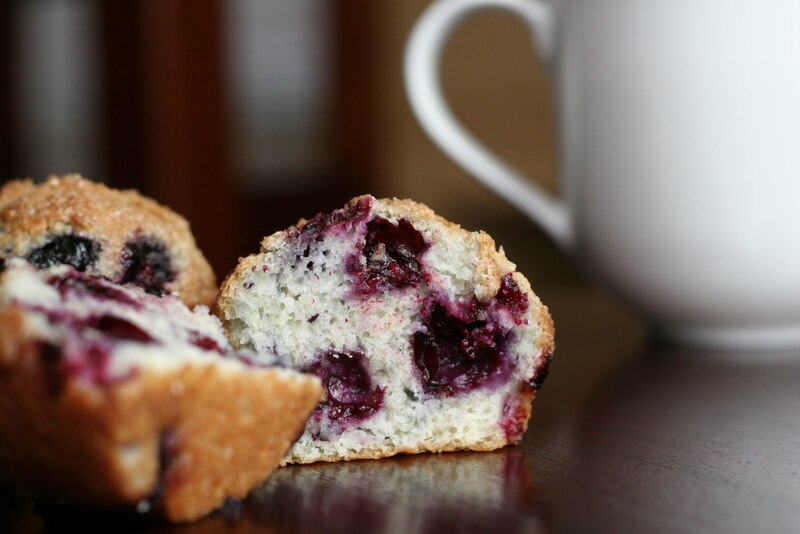 Hot fresh homemade muffins with hand picked Maine blueberries + a steamin' cup of joe = a foodies' heaven. Seriously, these muffins are amazing. 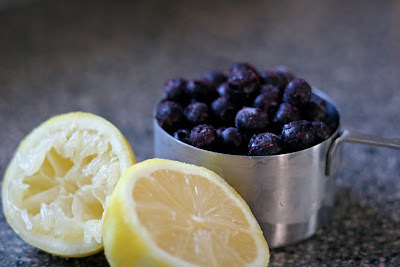 The best part is that you can use ANY type of berry in this recipe, fresh or frozen. How great is that? Want it to get even better? Out of eggs? No need to run to the neighbor's or the store, because this recipe does not call for eggs. Perfect for my little allergy man who can't eat 'em anyways. So put on a pot of coffee and let's get cooking. Preheat oven to 400 degrees. 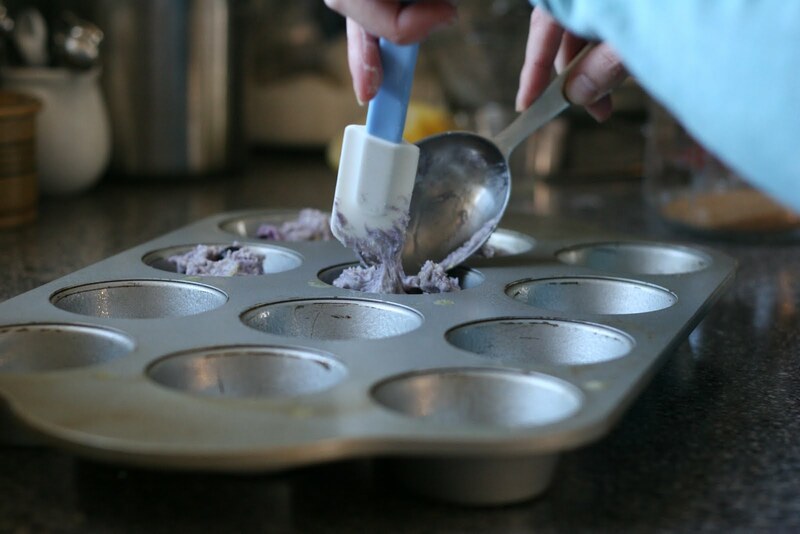 Spray a 12-cup muffin pan with non-stick spray. 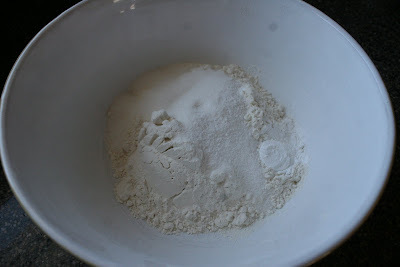 In a medium bowl, combine the flour, sugar, baking powder and salt with a whisk. 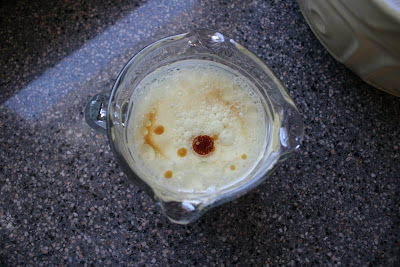 In a liquid measuring cup, combine the milk, oil, lemon zest, lemon juice, water and vanilla extract. If you don't have a Microplane , get one. They are pretty cheap and one of the best kitchen tools I own. 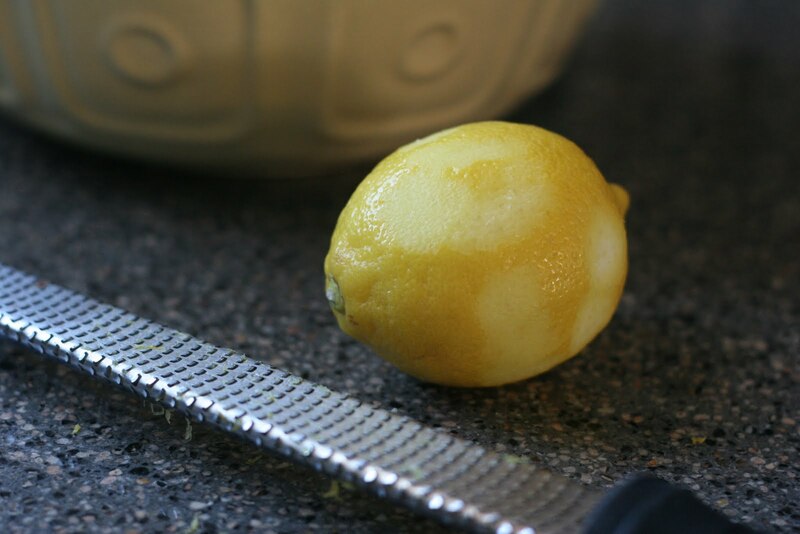 Perfect for zesting (and for grating hard cheeses easily). Just watch those knuckles... Add the milk mixture to the flour mixture, and stir with a wooden spoon or spatula until combined. Maine blueberries are my favorite. We picked several quarts last summer and froze them. Perfect for making blueberry muffins all winter long. 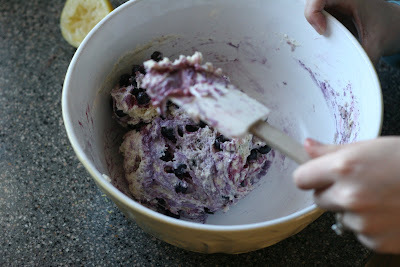 I love that you can use frozen berries in this recipe. Lightly fold in the berries. Divide the batter evenly into 12 cups in your prepared muffin pan. Now, this step is optional, but I strongly encourage you not to skip it. 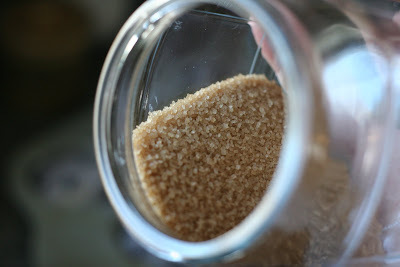 You know when you buy bakery muffins and they have this crunchy sugary top to them? This is their secret. Shhhh. Don't tell anyone I told you. Thick, coarse, raw sugar called Turbinado or Demerara sugar is the key. You can buy it in a regular grocery store in the baking aisle. Sprinkle a few pinches over each muffin and bake muffins for 18 minutes, or until a tester come out clean. 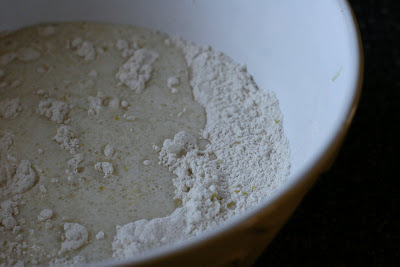 Let cool for 1-2 minutes in pan, and then carefully remove from pan and cool on a wire baking rack. 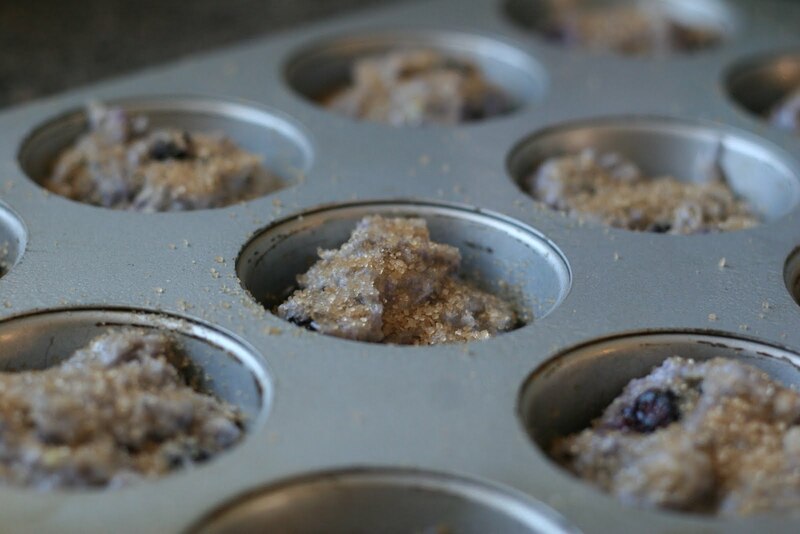 This recipes makes 12 muffins. Eat one, or two, and enjoy with coffee. 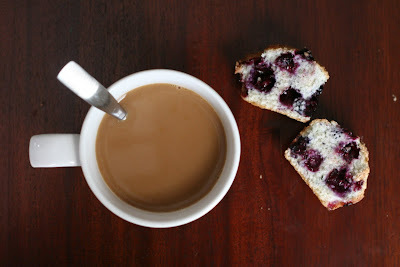 Muffins and coffee were exchanged for Travis' photography for this post. I am still not sure who got the better deal. Love it. They look so yummy. Print this and bring it to the camp so we have it on hand when we're all there wanting muffins, so Jack's not left out. Jan & Sarah, ha, you were both thinking the same thing! Those look delicious & eggless, yay! I won't mention bringing the recipe to the camp though! Lol! I always enjoy Travis' pictures but these are exceptional! The coffee shot is awesome.